Jenny Perkel is a clinical psychologist with over 20 years of experience. 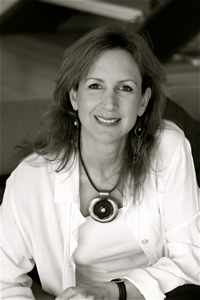 She works in private practice in Cape Town - offering psychotherapy to parents, children, teens and adults. She is the founder and co-ordinator of the ‘Babies in Mind’ service and the author of the book for new parents entitled ‘Babies in Mind’. 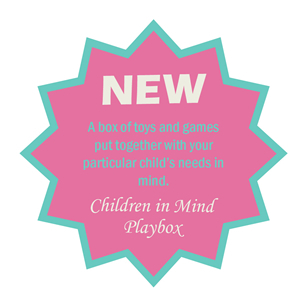 She is also the founder of ‘Children in Mind’, focussing on the psychological health and mental wellbeing of children and teenagers. Jenny has trained and supervised childcare workers for various child and adolescent mental health projects and children’s homes. 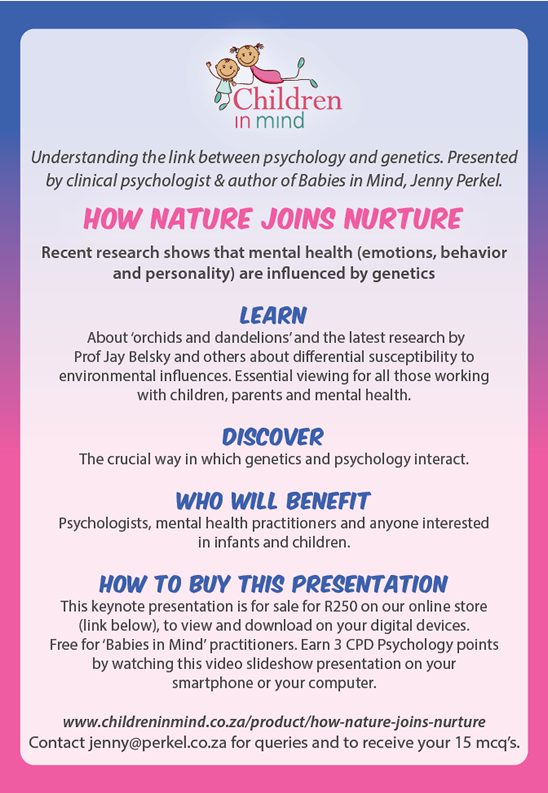 She has been involved in postgraduate teaching of child psychotherapy and she has done radio appearances, talks and presentations with mental health professionals, parents and lay counsellors in the areas of infant and child mental health and postnatal depression. Jenny has written extensively for parenting magazines about babies, children and parenting and she is the author of the children’s book, ‘Streets of Jewels: Journeys into the Child’s Inner World’. She is on the editorial board of the professional journal, ‘Psychoanalytic Psychotherapy in South Africa’. 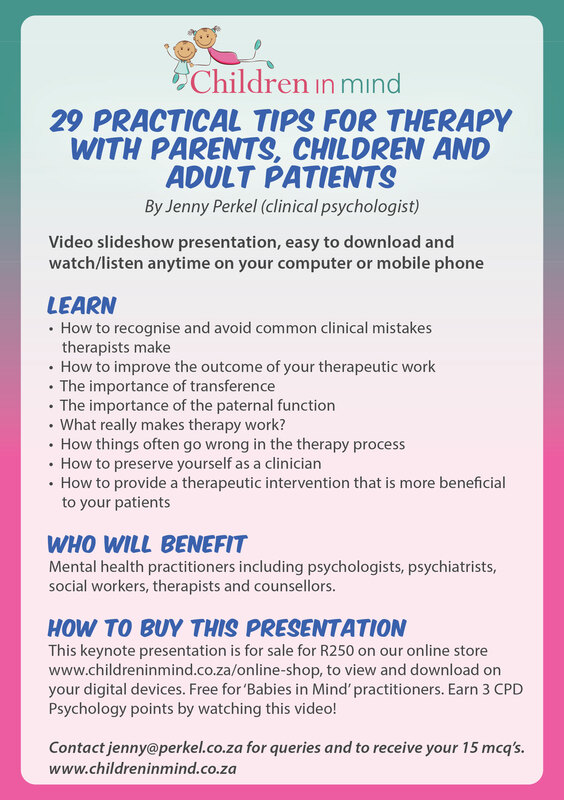 She is an active member of the ‘Cape Town Child and Adolescent Psychotherapy Group’ and a member and past chairperson of the ‘Western Cape Association for Infant Mental Health’.